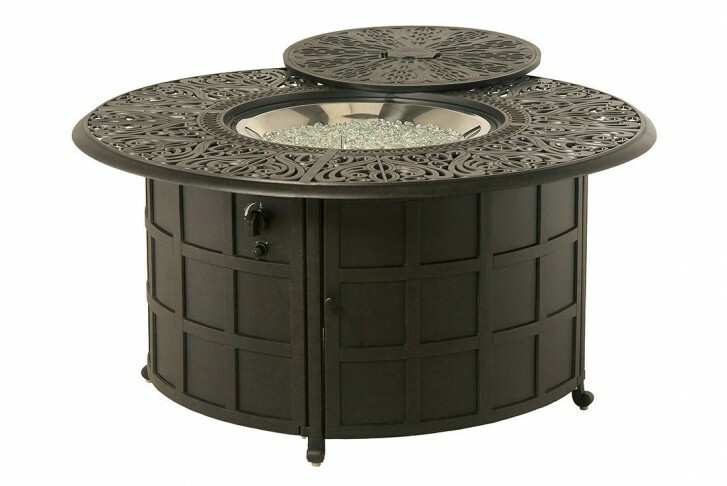 The Tuscany 48" cast aluminum gas fire pit has an old world flavor with its unique Tuscan frame. Durability is a plus with its cast aluminum contruction. BTU rating of up to 48,000 BTU's. Fueled with a 20 lb. propane tank, the 48" Tuscany gas fire pit also has the option of a natural gas conversion kit. Place the matching lid over the burner and this gas fire pit, doubles as a table. Available in two frame colors: Black and Desert Bronze.